We’d love your help. Let us know what’s wrong with this preview of The Backyard Berry Book by Stella Otto. To ask other readers questions about The Backyard Berry Book, please sign up. 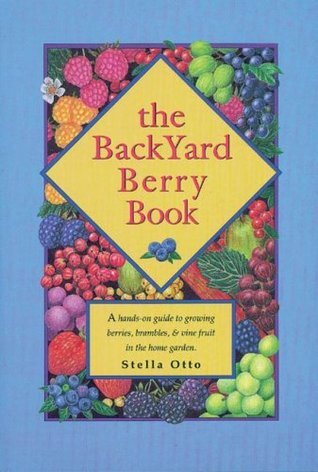 I didn't read the entire volume, but the Backyard Berry Book is set up like author Otto's award-wining The Backyard Orchardist and systematically with diagrams, charts, and references demonstrates how to set up and maintain berries and vine fruit in a home garden. This volume includes site selection, soil preparation, selection of variety, pruning, pests..... name it, and if it has to do with berries or grapes, it can be found here. Excellent selection for a beginner and experienced gardener. I mostly just grazed this book looking for helpful information. Recommends it for: Anyone seriously interested in raising fruit. Lots of good info - detailed and specific. This book has useful info on choosing varieties, trellising, planting, dealing with pests, beneficial insects and the like. Gave me a lot more confidence about berries and soft fruit gardening! Covers good practical skills. Gets right to the point. I bought this more as a reference book for my blueberry bushes.